Recently, a lot of hate mongering has been seen on social media channels by some UK based individuals and groups merely due to slight differences over ideology with other Sikh Jathebandis and parchariks. 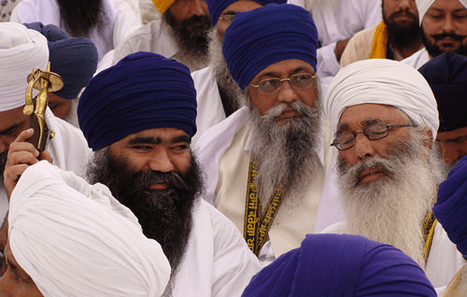 These groups have verbally abused and given threats to other Sikh preachers. Especially, the Jagowale Jatha and Baba Charan Singh, supported by groups such as Sikh2Inspire, International Panthik Dal and Tividale Gurdwara have been actively promoting hatred and causing issues between Sikh Sangat of the UK. These groups have also attempted to radicalize several youth against other Sikh organizations. Very recently, these Sikh fringe groups in the UK have waged a social media war against Bhai Ranjit Singh Dhadrianwale, making him their main target. These groups have made threats to stop his divaans in the UK and report him to the Badal-appointed Jathedars that the Khalsa Panth has rejected and disowned. Further to this, the group have made provocative comments that incite hatred and cold murder of their critics, in the garb of defending their own ideology. Just this past week, these groups led by the Jagowale Jatha had released a very provocative statement; however, after facing a wave of criticism worldwide, this video of the meeting based at Gurdwara Guru Hari Rai West Bromwich was removed from the internet. 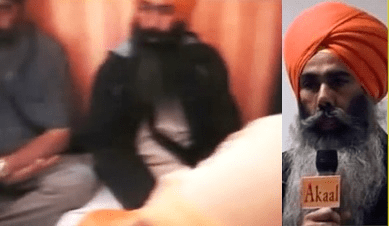 Videos against Bhai Ranjit Singh Dhadrianwale, made by the UK’s Jagowale Jatha and Charan Singh, supported by groups such as Sikh2Inspire, International Panthik Dal, and Tividale Gurdwara, have gone viral. However, to much surprise, the media campaign to discredit and silence Dhadrianwale and other critics that don’t align with Baba Harnam Singh Dhumma have failed and back fired. The majority of comments on Facebook criticize Jagowale Jatha and their supporters of making a non-issue into an issue, and twisting the truth to disunite Sikhs and divert the global Sikh community’s attention away from Sarbat Khalsa and greater issues facing the Panth. While these groups are targeting Dhadrianwale and other Sikh Jathebandis over non-issues, these groups themselves have a shady background. 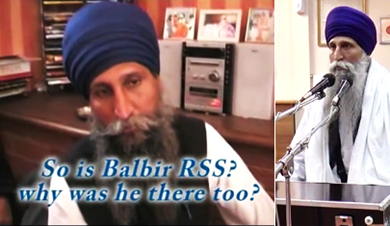 In 2011, video footage of a notorious RSS leader visiting the UK and being greeted by Sikh personalities associated to Damdami Taksal UK was brought to light by Sikh media. However, to this day there has been no response on record from these groups. 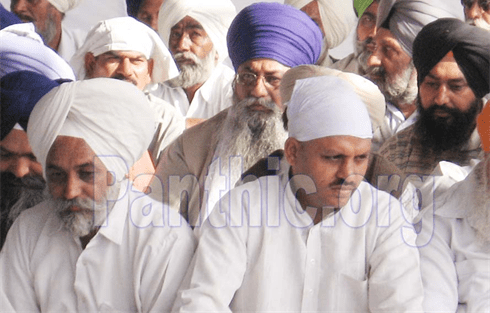 While groups like Jagowale and Bhai Charan Singh are vocal about on-going issues in the Panth, they have kept quiet about this anti-Panthik affiliation. Why did Jagowale Jatha and Charan Singh decide to remain silent on such a serious issue, but wage a social media war on Dhadrianwale? Fascist RSS leader, Sadhvi Rithambara, visited the UK in June 2007. 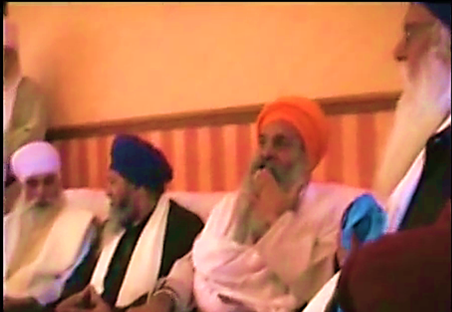 Several Sikh leaders with proximity with Jagowale and Charan Singh met with Rithambara near the Trafalgar Road in Tividale, Dudley. Rithambara was treated as a guest of honour and made to sit on a sofa, whilst everyone sat on the floor before her. A Havan was performed in the morning before having the meeting with Sikh personalities later that day. The personalities who attended this meeting were Giani Balbir Singh (Damdami Taksal UK, now leading East London Damdami Taksal), Giani Sohan Singh (Damdami Taksal UK, Head Granthi of Baba Sangh Gurdwara, Smethwick), and Bhai Resham Singh (Damdami Taksal UK, who serves in UK Amrit Sanchars) to name a few. 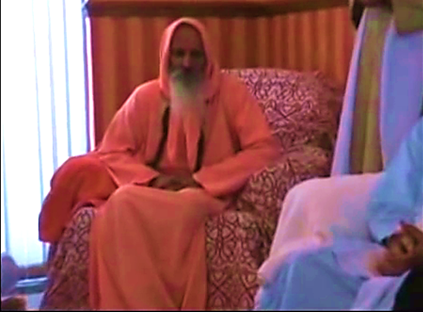 The previous year, in August 2006, Swami Parmanand Giri, the spiritual Guru of Sadhvi Rithambara visited the UK and was invited to the same residence in Tividale, where the same Sikh leaders met and greeted him. Swami Parmanand, a senior leader of the Vishwa Hindu Parishad (VHP), and has served as Vice-President of the organisation. The organisation is a right-wing Hindu nationalist organisation based on the ideology of Hindutva. The VHP belongs to the Sangh Parivar an umbrella of Hindu nationalist organisations led by the Rashtriya Swayamsevak Sangh (RSS), which is linked to Hindu terrorism against minority religions in India. 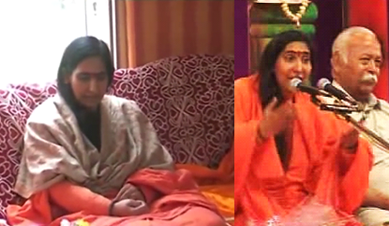 Sadhvi Rithambara is a disciple of Swami Parmanand, and often mentions his name in veneration before making her aggressive Hindutva speeches. Swami Parmanand, sent Sadhvi Ritambhara and his two other female disciples, all known for their fascist and inflammatory speeches, to join Bharatiya Janata Party (BJP) and promote the Hindutva agenda in politics. 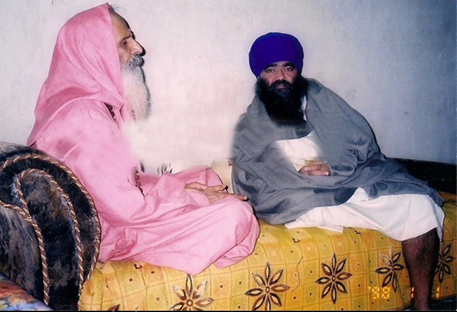 During Swami Parmanand’s tour in 2006, he was invited to the private residence in Tividale and met by Sikh personalities which include Baba Hari Singh Randhawa (General Secretary of Sant Samaj), Giani Avtar Singh Badhni Kalan (Damdami Taksal; grandson of Sant Gurbachan Singh Ji Bhindranwale), Giani Gurdev Singh Southall (UK Damdami Taksal), Giani Balbir Singh (UK Damdami Taksal; now heading East London Damdami Taksal). 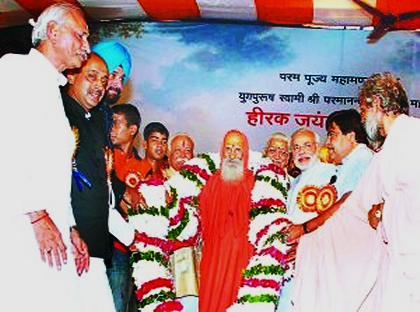 At this function many of those mentioned received Siropas and posed to have a photo taken with Swami Parmanand. Along with shady past of these leaders, Giani Takhur Singh Patiala is another leader who has close proximity with Jagowale Jatha and Tividale Gurdwara. 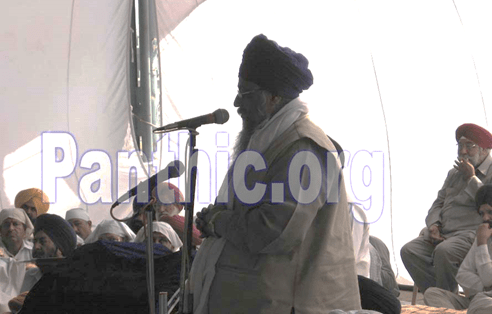 Giani Takhur Singh and Baba Harnam Singh Dhumma in November 2007 attended an RSS event. 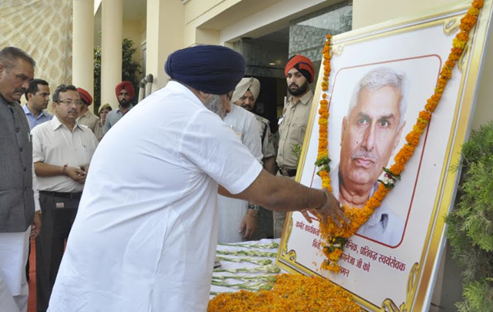 The event was organized by the then Punjab RSS’ spokesman, Rulda “Singh”, in memory of his son who was killed in a car accident earlier that month. At the time, Khalsa Press exposed his nexus with the Rashtriya Sikh Sangat. 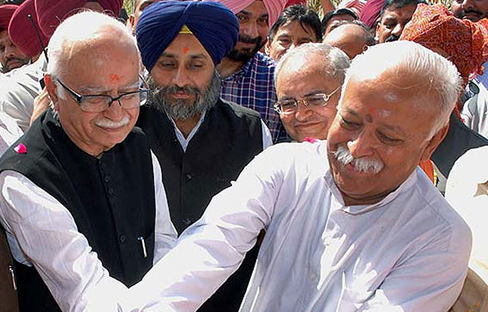 The event in question was held at the Dana Mandi grounds on Sirhand Road in Patiala on November 20, 2007 and was attended by hundreds of RSS workers, and RSS high command. 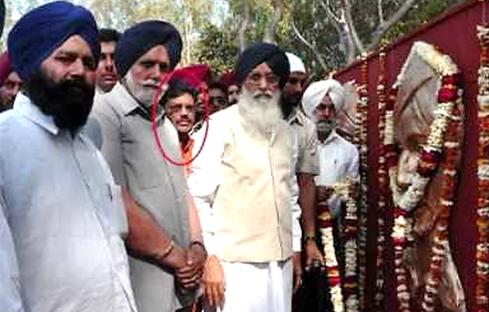 The International Kathakar, Giani Thakur Singh, was one of those in attendance, who represented Baba Harnam Singh Dhumma (Damdami Taksal-Mehta) at the memorial. Giani Thakur Singh, not only attended the memorial service but also made a speech paying homage to Rulda’s deceased son, and openly spoke about his ties to the RSS spokesman during the days when they were both students in Mehta. Giani Thakur Singh also sent condolences from Baba Harnam Singh Dhumma, who for some unreported reason could not make it to the function. Panthik circles speculate that Rulda was implanted to infiltrate at Damdami Taksal headquarters in Mehta. 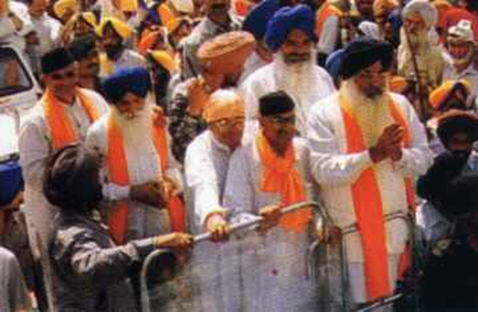 In 2004, Sri Akal Takht Sahib issued a ‘Sandesh’ (a message to the Panth) to boycott the Rashtriya Swayamsevak Sangh (RSS) and its offshoot, the Rashtriya Sikh Sangat, for their continuous anti-Sikh activities that seek to undermine and destroy Sikhi. After a string of serious anti-Sikh activities that came to light in the wider Sikh community, Sri Akal Takht Sahib called for the boycott, which meant no Sikh was to interact or support the RSS or anyone affiliated to it, in any manner. 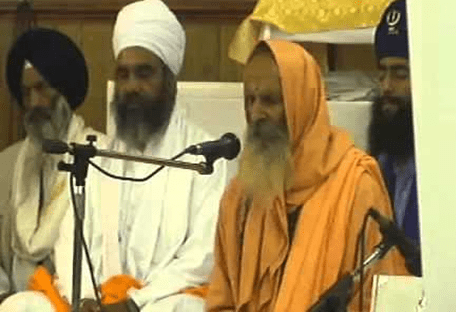 It is clear that personalities linked and promoted by Jagowale Jatha UK and the Sikh fringe groups seeking to silence other Panthik preachers, have violated the 2004 ruling of Sri Akal Takht Sahib and betrayed the Panth. Since these revelations became public in 2011, Jagowale Jatha and the supporting UK fringe groups have not condemned the Sikh personalities linked to Damdami Taksal UK meeting and greeting RSS leaders. 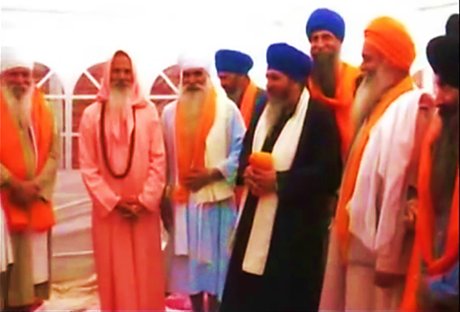 To this date, Jagowale Jatha and the supporting UK fringe groups have not called to put a ban on Baba Hari Singh Randhawa, Giani Balbir Singh, Giani Avtar Singh Badni Kalan, Giani Takhur Singh and others from doing Katha despite question marks on them for meeting RSS leaders behind closed doors. 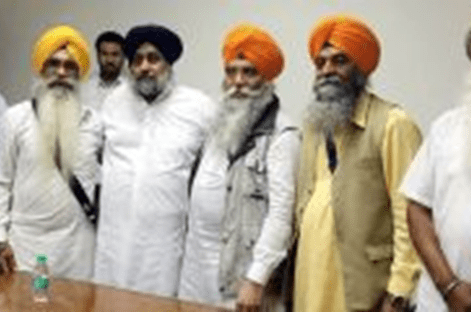 Why are Jagowale Jatha, Bhai Charan Singh, Sikh2Inspire, International Panthik Dal and others, silent on the anti-Sikh activities of their own who back Prakash Badal and are happy to entertain the RSS? 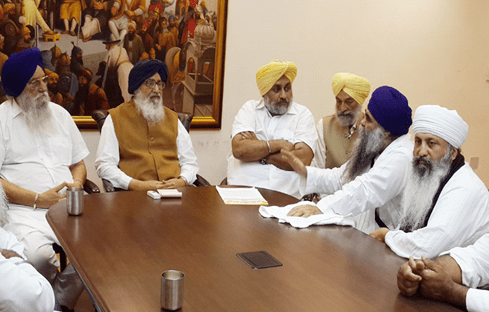 Raghbir Singh and Paramjit Singh ‘Dhadi’ from UK, members of International Panthik Dal (IPD) led by Jasbir Singh Rode, meeting with Sukhbir Badal. Jagowale and International Panthik Dal have held meetings together. Both condemn the Sarbat Khalsa. Harnaam singh Dhumma was most likely chosen since he seemed like a controllable pawn. 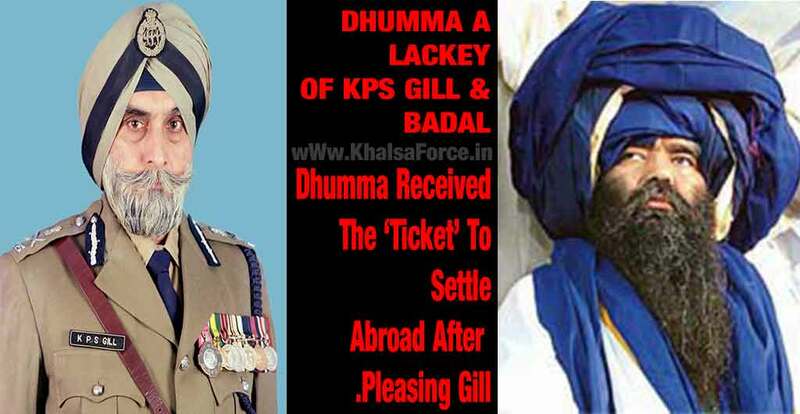 It has posted that he had links the KPS Gill, but I have never heard of that or seen any evidence. But no matter he is a government pawn. But at the same time, just because we are unaware of his seva, doesn’t mean he hasn’t done anything in the last 10 years. Dhumma does standard taksali katha (nothing amazing) and has done larivaar katha of SGGS. He does seem knowledgeable, but isn’t outspoken against government like his predecessors. He has also hosted a Dasam Granth Gian Prabhod smagam (where they do prakash of many puratan saroops and read them line by line to note differences. Then the correct meanings are used to find correct version. Unlike SGGS, DG has not been standardizedLink: Shabad Vichar Parbodh Smagam). Lastly He was the driving force to get the shaheed gurdwara constructed for 1984 shaheeds at Harmander Sahib, (SGPC was not in favor of it). Although I don’t support or trust him, it is unfair to say he is a complete RSS/government agent. He is a tool but I don’t think is distorting gurbani or sikhi in anyway, nor does he . I don’t think he is dumb enough to order a hit on Dhadriawale, but we will see where the investigation leads. The question is, if Jogowale Jatha and their affiliates in UK are claiming to be defenders of the Sikh faith, why have they remained silent on such anti-Sikh activities of their own? 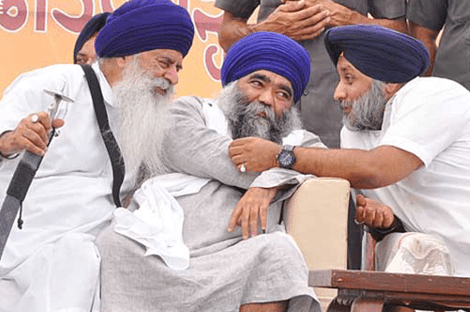 They have condoned the death of Bhai Bhupinder Singh, incited violence against Dhadrianwale, and also remained silent on Bhai Joga Singh Khalistani’s murder by Sandeep Singh who is linked to Baba Dhumma and Jasbir Singh Rode. 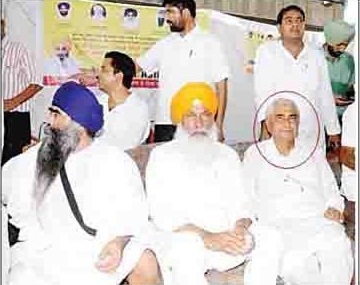 Is it possible that the silence of Jogawale Jatha that their own have affiliations with Akali Dal, Rashtriya Sikh Sangat and other anti-Sikh groups who have ties with Baba Dhumma?